A creative and motivational leader, Pearl is currently the Group CEO of Media General Limited, a leading Media company in Ghana. She is the Founder of Feniks Ltd, a Business Development Company with special focus on supporting medium sized companies to achieve their growth potential. She is a founding member and Executive Council member of the Executive Women Network. 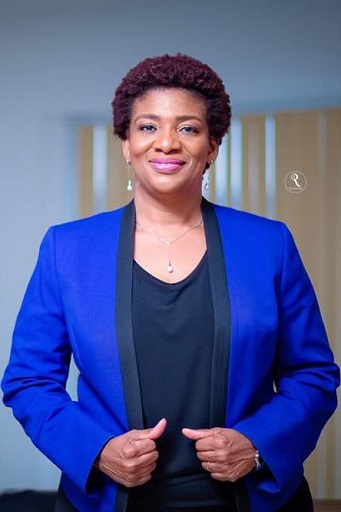 Pearl was Deputy Managing Director of UT Bank LTD Ghana and held various executive positions in UT Holdings including Director of Finance and Administration, UT Financial Services/UT Holdings, Ghana. She has over 20 years of comprehensive experience in Finance and banking. Other positions held are Group Financial Accountant, Parity Group Plc UK; Group Reporting Accountant Kantar Group Uk, DSC Communications Ltd UK and Data Layout Ltd, a reprographics/ printing company, in London. Pearl is a certified professional accountant, an ACCA fellow (FCCA), with an MBA in Finance from Manchester Business School in the UK and a Bsc in Business Administration degree from University of Ghana Legon. Pearl serves on a number of boards including, Chairman of Ashesi University board, UMB Foundation board, Galaxy Capital, TXT Group Ghana. She is also an adjunct lecturer at the University of Professional Studies. Pearl has a passion for empowering the youth and is a patron of Waves international. She has had a number of speaking roles across the country. She was awarded Overall Young professional (Female) Role Model by Young Professionals Youth Coalition Initiative in 2011. She was awarded among others, the Finance Personality of the year by the maiden National Women in Finance awards in February 2014. She was recognized for her role in chairing the steering committee to establish Invest In Africa (IIA) in Ghana in 2015.